Everyday looks better with flowers from Mount Williams Greenhouses, Inc.
Our family-owned and operated shop has been proudly serving the Northern Berkshire Region for over 75 years. 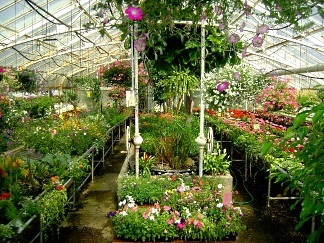 Located in North Adams, MA, Mount Williams Greenhouses offers only the finest floral arrangements and plants, many of which are grown right here in our own greenhouses. We pride ourselves on offering prompt, friendly service, and original, creative gift ideas to suit any style or budget. It is our pleasure to assist you with any local, as well as worldwide deliveries and we welcome corporate accounts. For your convenience, we offer daily floral delivery to local funeral homes and hospitals. For your convenience, we offer daily floral delivery to local funeral homes, and you can always depend on our courteous staff to help you with ordering flowers after a friend or loved one passes. 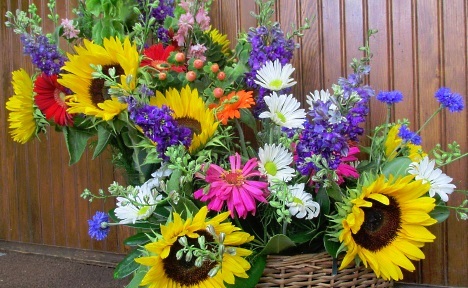 We welcome the opportunity to design and deliver flowers that beautifully convey your expression of sympathy and serve as a lovely memorial to the deceased. Our talented design staff is ready to help you plan bouquets, arrangements and on-site decorating to make the vision for your wedding day or special occasion a reality. Call in advance at 413-663-8665 or 1-800-339-0269 to set up an appointment for consultation. From Poinsettias in December, to annuals in June, not to mention houseplants year round, our own Greenhouses offer an abundance green and flowering plants, planters, and dish gardens. 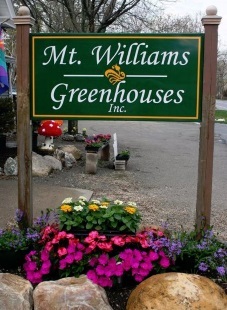 Mount Williams Greenhouses, inc. also offers Gourmet Fruit or Chocolate Baskets, Gift Baskets, Balloon Bouquets, Silk arrangements, Plush Stuffed Animals, Fashionable Jewelry, Sun Catchers, Christmas Ornaments and more.